We are Utah's Top Watch and Clock Repair experts. 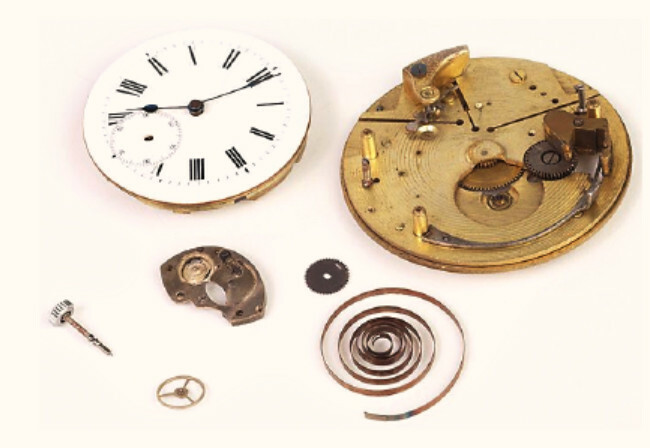 All our repairs are done in-house by fully trained and highly skilled Watchmakers or Clockmakers. We specialize in watch repair and watch restoration. Aaron Recksiek is a 3rd generation watchmaker specializing in such brands as Rolex, Breitling, Omega, Longines, Tag Heuer, Patek Philippe, Accutron, Wrist watches, Pocket watches, Antique watches, Movado, Swiss Army, Cartier, Hamilton, and many other high grade Swiss time pieces. We are the top Watch Batteries, Watch Battery Replacement, Watch Bands and Watch Service Specialists. Our highly skilled, factory-trained watchmaker is here to assist and serve you every step of the way. Just let us know how we can help! Our experienced staff and watch repair facility allows us to service all brands and types of watches including watch battery replacement. We have the most up to date equipment, material and technical background to repair all brands and types of watches. Feel free to send in your watch using our service form. Shop hours are Mon-Fri 9:00am - 6:00pm, Sat 9:00am - 5:00pm. You are welcome to come in anytime or if you would like to Request an appointment we can be better prepared to assist you.